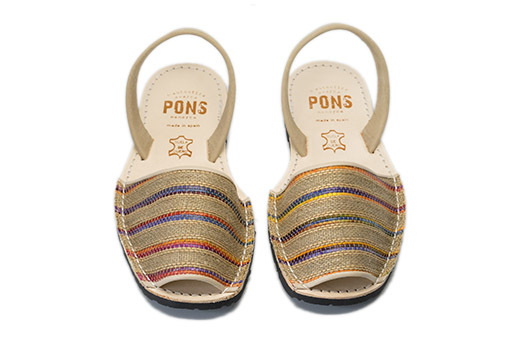 If your wardrobe is missing a cute patterned sandals, our women's Classic Textile Pons are calling your name! 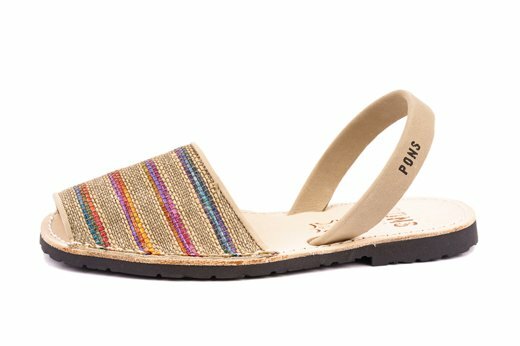 Handcrafted in Menorca by local artisans, these Natur sandals are sure to brighten any outfit with their kaleidoscopic stripes, varying from cool hues of aqua and purple to warm yellows and reds. Handcrafted in Menorca by local artisans, our durable & versatile avarcas are made with high quality woven canvas, all-natural leather lining and heel straps, and have a lightweight rubber sole.